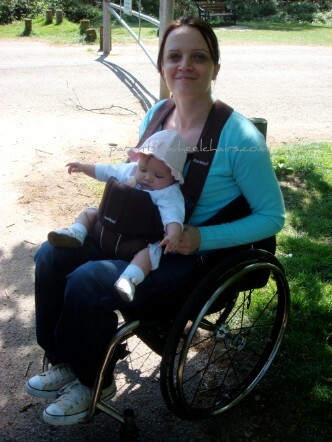 This baby carrier is So easy to use! It separates in to two parts - the back straps and the baby seat. You put the straps on the same way as as you would a jacket and then the seat part clips on at the front. You can then sit baby on your lap on while clipping them in and adjusting the straps to suit the person carrying (very easy to do). 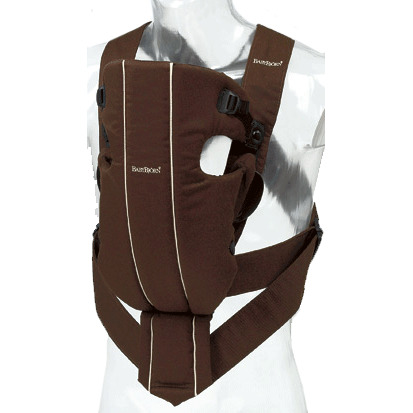 We bought it when Sarah was very young - the manufacturer's picture above shows the carrier with the head support in use for when the baby does not have good head control (baby faces you). Sarah was just over 4 months in the photo. She always seemed really comfortable and even fell asleep sometimes!